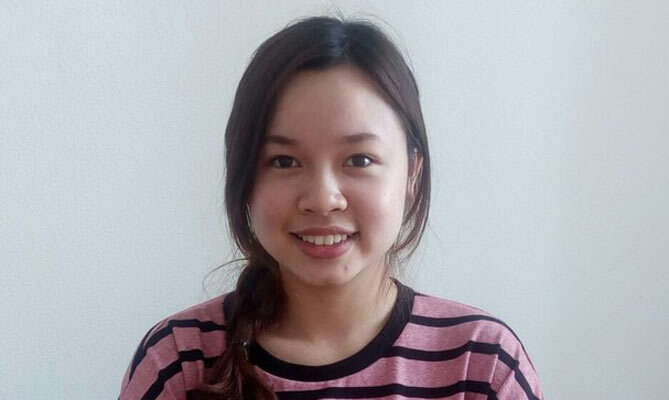 Hang Thuy Luong came to study to the Czech Republic from Vietnam and became a student of Mendel University, Faculty of Economics and Business, Tourism management. Hello Hang Thuy Luong! Why did you decide to go to the Czech Republic? Mainly due to personal reasons, my family lives here and I wanted to live together with my family in Brno, in Czech Republic. Before coming there I studied in Vietnam in our capital – Hanoi, at the Economic Faculty. I think the quality of study in Czech Republic is higher. A lot of my friends from Vietnam went to study to the universities to Australia, Japan and also to the Czech Republic. Prague is also very popular city for study, but for me – Brno is more comfortable and chipper for life and study. How did you find EuroEducation company? Our translator gave me the contact to the EuroEducation company. And after communication with Alexander, manager of the company, I decided to use help of this company and I really happy of that. Thanks of that decision I’m on the right way now. How did you choose university and faculty for study? I decided that I want to study Tourism. Before my coming to Brno I had been studying for 1 year at the university in Vietnam and I understood what do it means – economics. And my translator helps me to understand situation with job market in Czech Republic, he told me, that it's very difficult to study economics. I consulted with Ekaterina from EuroEducation, she helped me to choose some universities, but I decided to submit application only to one of them, to my favorite – Mendel University, Faculty of Economics and Business, Tourism management. Was it difficult to prepare to the entrance exams to the university? I attended courses of Mathematics and English. I speak English very well, so for me course of English was like revision. With mathematics I had a problem still from school and our teacher on courses really helped me with preparation to the test. At the exam I met the same test what I saw in the preparation course. When I have found my results I was really surprised and happy! What can you say about recognition of your secondary education? Were you needed to pass the exams for that? Yes, and I was really nervous about that. Because I was needed pass exams in Czech language, but my level of Czech was only A2 at that moment. Fortunately I had to pass only two subjects: social science and biology. I was learning for two months and passed these exams successfully. Actually exams were very fast and simple. Of course, employees from EuroEducation helped me with preparation to the exams. What do you think about intensive course of Czech language from EuroEducation? Do you like it? I really like our teachers! They are very professional and friendly people. And I’m very happy that books of Czech language at our courses were in English and my teachers speak English very well. When I don’t understand they can explain in English. Every week I have 16 hours of studying Czech language at courses and this is enough for me. Czech language is very difficult language for me, but now I believe I can study in Czech language at university. For me more problems make Listening and Reading. I would like to reach a Bachelor of Tourism Management and to find a good job in Brno, maybe in tourism agency. When my Czech will be more professional I want to start learning one more foreign language, I think about German. Want to study in Czech Republic? Please, fill an application form.